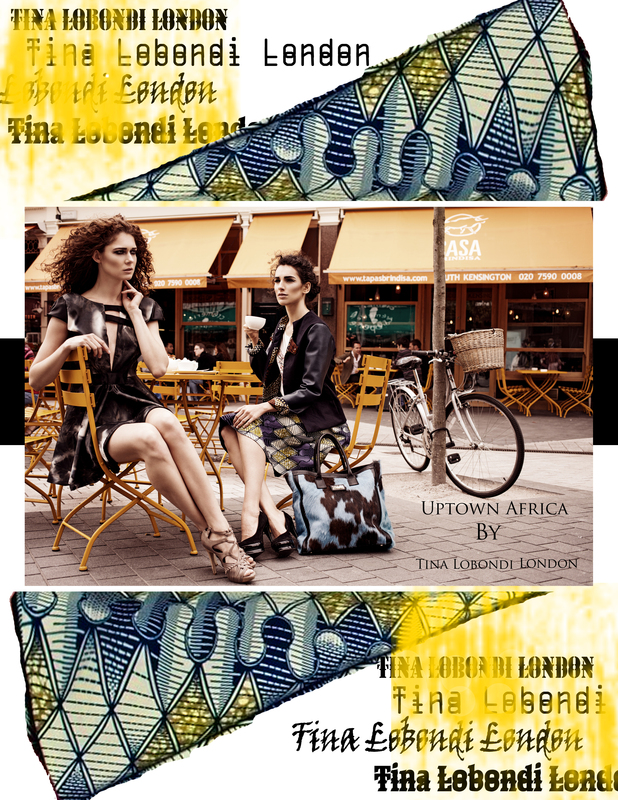 Tina Lobondi is a London based Womenswear Designer specializing in High End women’s ready-to-wear. Born in Kinshasa (Congo), she grew up in Lorraine (France) where she studied Fashion Design Realisation. After 3 years and her Diploma in hand, the designer moved to Paris and started internships in various designer’s studio in the area of La Goutte D’or. In 2006, the designer moved to London, aiming to pursue a career in her field. Another Fashion Design degree at the prestigious London College of Fashion will help in the pursuit of the dream of creating her first collection showcased to help raise money for the Princess Diana Foundation, at the event ” Finding Your Feet“. Since 2010, she created a label under her own name, Tina Lobondi, located in Notting Hill. The collection is based on exceptional attention to details and finish, classic and chic designs. Elegance with timeless style is the aim she wants to achieve. The fabrics and materials are sourced from all around the world, Mauritania to Paris and London. The Made-to order service offers you the possibility of choosing your designs and fabrics, to create your individualy crafted One-Off piece. With a clientele including Grammy Award winner and NewYork based singer Angelique Kidjo, London based singer Lianne La Havas and “Eastenders” actresses Shona McGarty and Hetti Bywater. The designer has received press interest from Marie-Claire and ELLE Magazine South-Africa, British Soap Awards, PROFILE Event, LOOK Magazine, OK Magazine, Miss Ebene Magazine, PRIDE Magazine, to name a few.